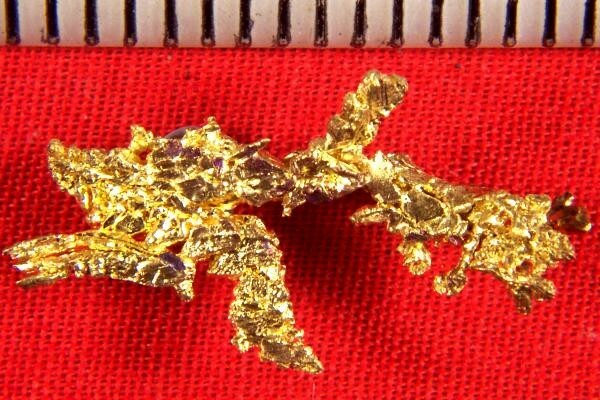 This mass of gold nugget crystals from the Harvard Mine in Jamestown, California weighs 27.4 Grains (1.78 Gram), and it is very long at 7/8". The Harvard Mine is now closed so crystalline gold nuggets from this location are becoming increasingly rare. This incredible gold nugget specimen is priced very low for this quality and rarity.